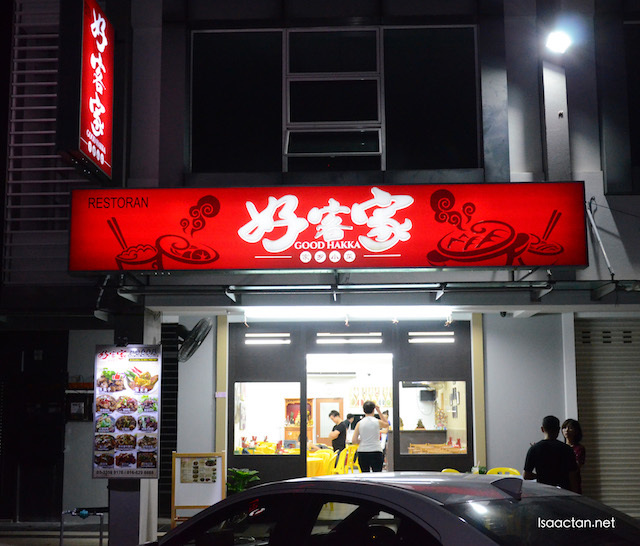 Going all the way to Klang for some delicious Hakka chinese cuisine? Why not, especially when you've been told they serve good specialty dishes. Good Hakka Restaurant @ Bandar Bukit Raja Meru Klang serves a variety of Hakka dishes, in a predominantly Hokkien area, pretty gutsy if you ask me. Check out what we had that night. Per my understanding, the dishes served at Good Hakka Restaurant is slightly toned down as compared to the authentic Hakka cuisine, due to popular consensus to have a toned down version. The original has a stronger taste and flavour which may not sit too well with everyone. Two signature Hakka dishes were served first, the Hakka Braised Pork and Yam Abacus. We had the large servings, but personally i do feel it could have been bigger. The braised pork was tasty enough, while the Yam Abacus is one very unique dish. 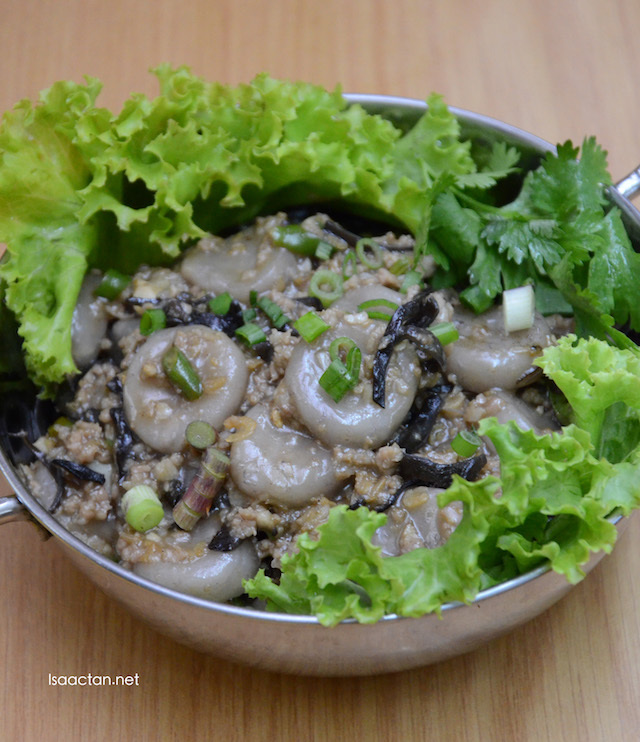 House-made, from dough and yam, it's chewy with strong savoury flavours coming from the fact its stir fried with minced pork, chili padi, black fungus, and dry shrimp. One of my favourite dish that evening would be the Fried Tau Foo Pok with Salted Eggs. 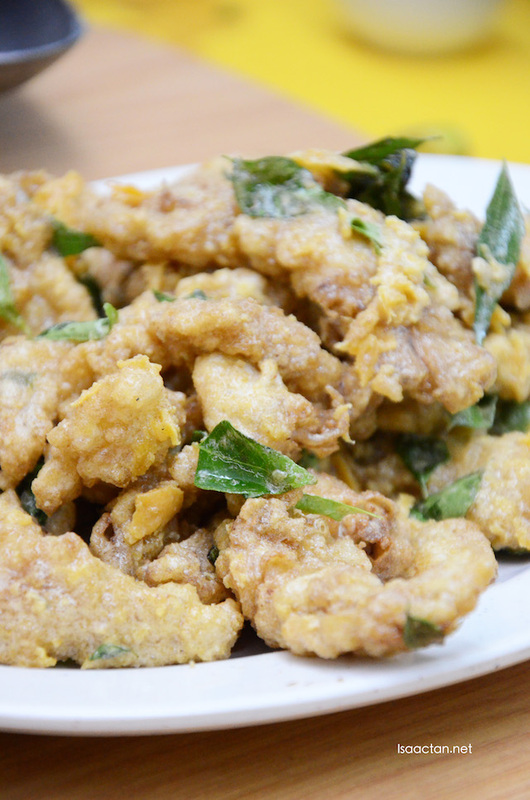 Deep fried with salted eggs, this savoury dish does leave a very good taste in the mouth. Love how crunchy it is, coupled with the egg flavours and curry leaves, I couldn't get enough of it. Luckily we ordered the large portion, which suffice for all. Another two very flavourful dish came in the form of the Red Wine Chicken and Pork Vinegar Trotter. Both had a very strong pungent taste to it. A quick note on the red wine, it is indeed very strong, an aroma which envelops the whole dish. 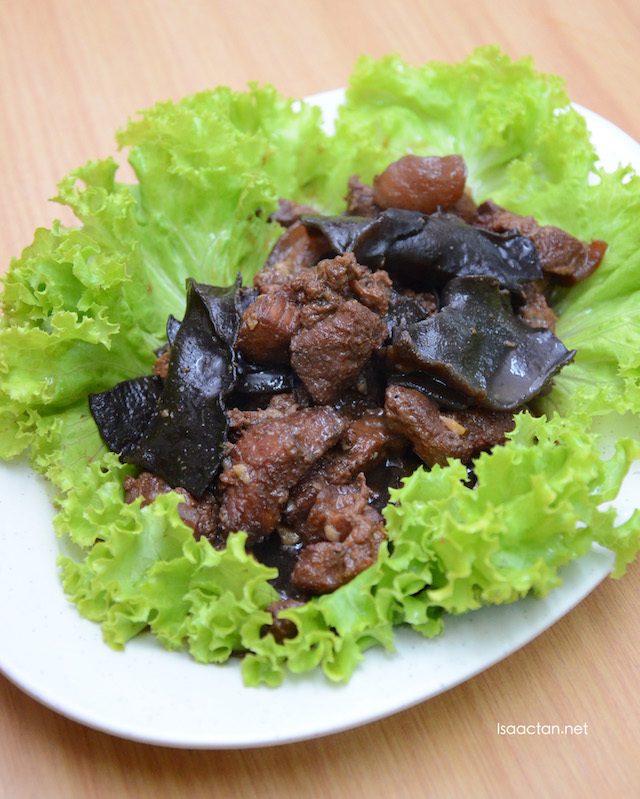 Cooked together with black fungus and black bean, it is indeed an acquired taste. 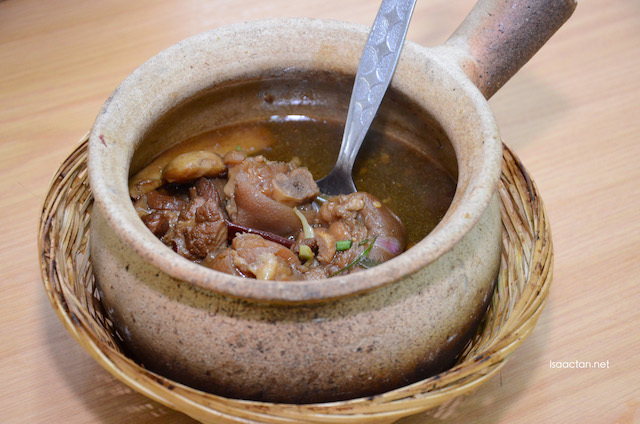 If you like sinful, fatty pork trotter, then do go for Good Hakka Restaurant's Pork Vinegar Trotter. Unlike the usual vinegar pork dishes I've tried, the one here is sweeter than usual, but I was told it's just the Hakka way of preparation. 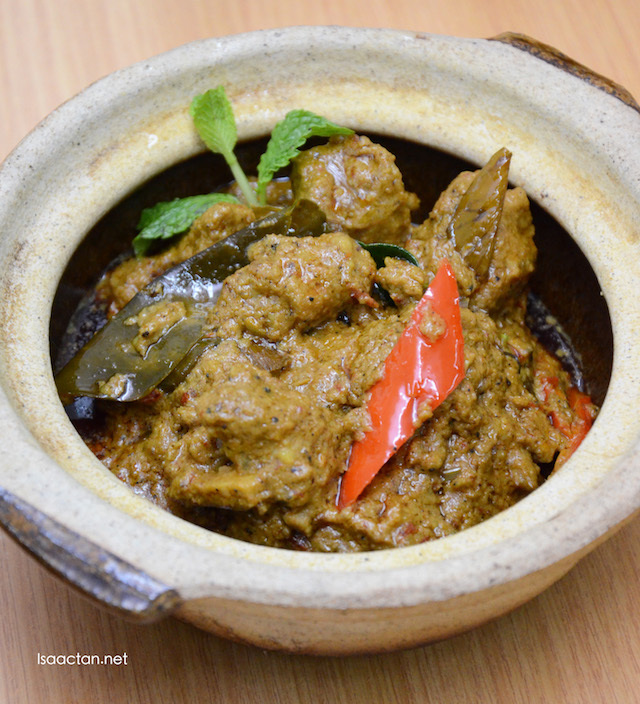 Two spicy dishes back to back, we got to try out their delectable Pork Rendang. 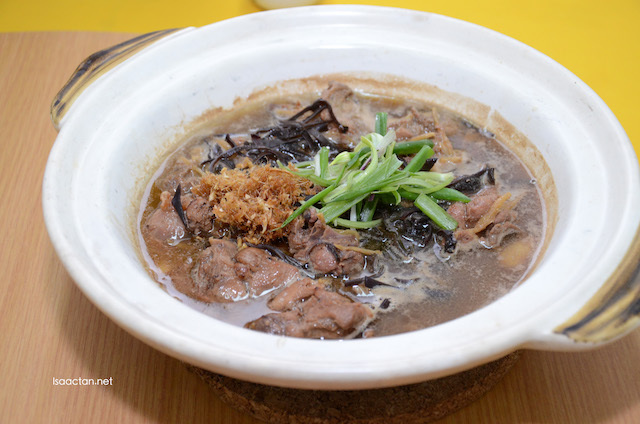 It is a very aromatic dish, with generous servings of tender pork meat pieces inside. 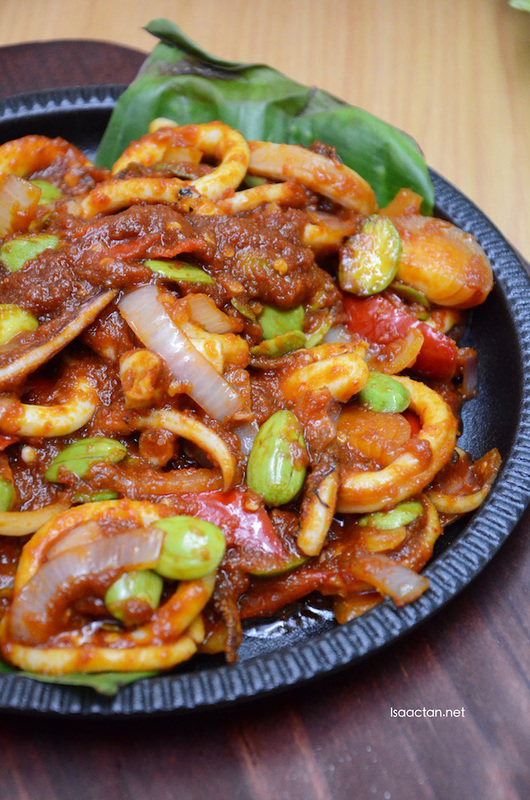 What got me excited was the Sizzling Sambal Petai Sotong. The smell hit my nose, and I loved it. I love petais, especially when cooked with sambal sauce. Here, it's cooked just right, with enough spice and lots of white squid, going well with the accompanied white rice. The extra onions make all the difference. 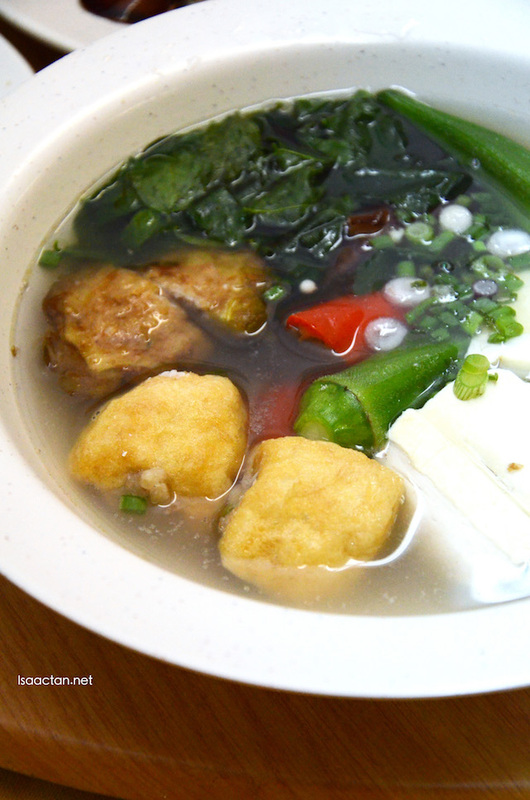 Hakka Yong Tau Foo - RM9 for 6pcs, RM18 for 12pcs. 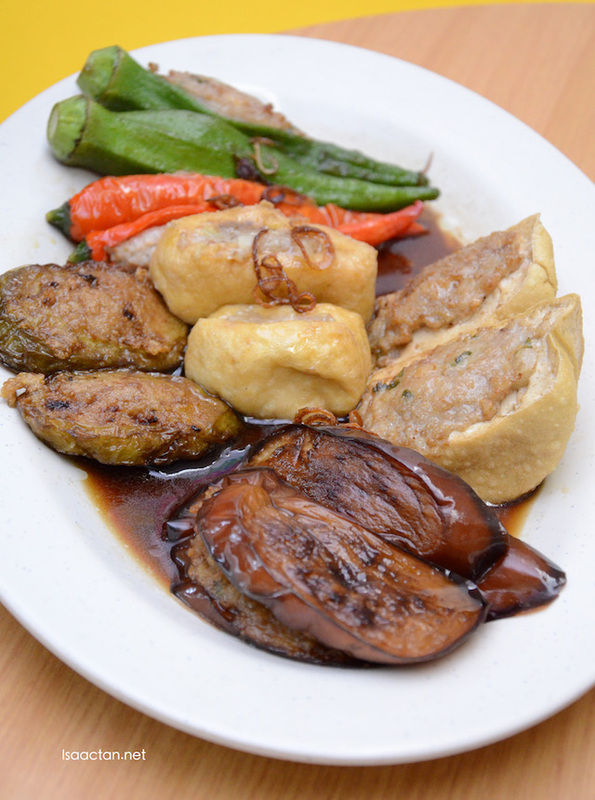 So I didn't know this, that Yong Tau Foo is a very popular Hakka Dish. Going from RM9 for 6pcs, or RM18 for 12 pcs, we get to choose from a variety of ingredients, to either throw it into yummy soup, or get the dry version. Mackerel fish paste with minced pork flavoured with salted fish and onions are the secret ingredients to give out that tasty flavour. Good stuff. 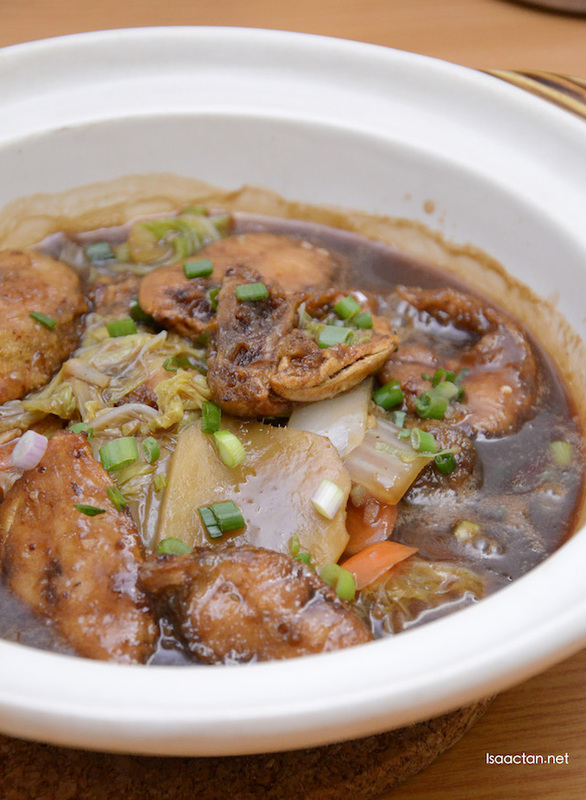 Braised Fish Hakka Style, another tasty fish, where it is first fried then braised with sliced ginger and Chinese cabbage. Love the gravy, where it complements the fish really well. Choose from any type of fish you prefer to be cooked, and enjoy this dish. 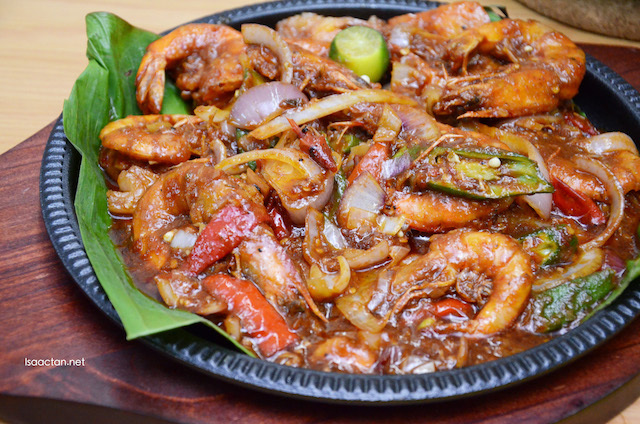 Good Hakka's Assam Prawns were served next, cooked with Assam paste with a sweet and sour flavour to the dish. Almost similar taste to the Sambal Petai dish tasted earlier, this one had a stronger sourish flavour due to the assam. Not bad at all. So there you have it, if you're in the vicinity of Klang, and would like to get your hands on some delicious Hakka chinese cuisine, do drop by Good Hakka Restaurant @ Bandar Bukit Raja Meru Klang. Fried Tau Foo Pok with Salted Eggs look tempting. Will try this out this weekend. Now I know where my cousins could go for the Hakka food. Thanks for letting me know about this. Omgggg you are making me hungry. I am craving for the Yam Abacus now. Gahh! I love the food here! Especially the red wine chicken, the pork vinegar trotter and salted egg taupok!! so yum! Their yong tau fu seems really nice! Portion looks big but price not bad. Although in Klang, will tell some of my non-muslim friends about this since price seems worth it. the food looks good. too bad i cant eat. can share with my chinese friend bout his place.